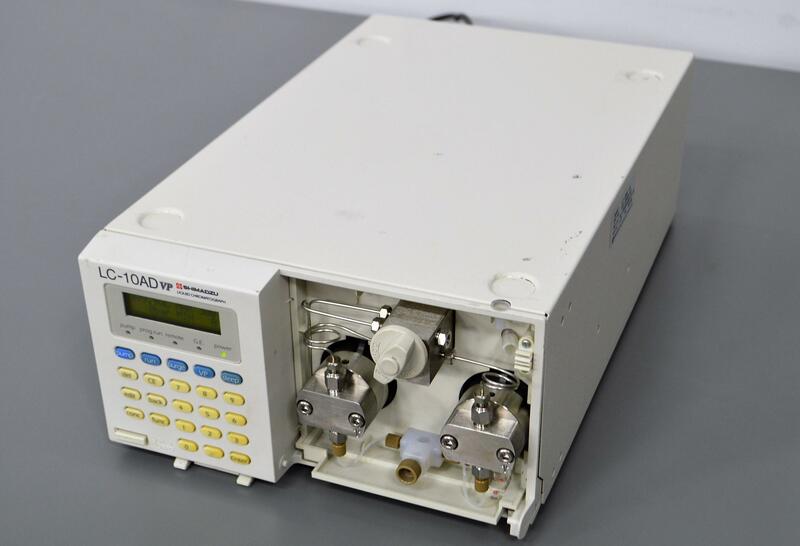 Shimadzu Liquid Chromatograph Pump LD-10ADVP 228-39000-92 Solvent Delivery . New Life Scientific, Inc.
Our in-house technician inspected and tested this Shimadzu Liquid Chromatograph Pump LD-10ADVP 228-39000-92, confirming it to be functional. Technician powered instrument on, noting it completes initialization. Technician also noted all buttons, pumps and valves are functional.